Over 15 years of exploring, through twists, turns, and backflips, New York is still my favourite city in the world. It has an incomparable energy - exploring each corner of the city feels like an adventure, but still unmistakably NYC. And the clichés ring true, this is the city that never sleeps! 3am sushi and bowling? Not a problem. From midnight to midday boredom take a backseat, with endless activities to keep you entertained. It has an incomparable energy - exploring each corner of the city feels like an adventure, but still unmistakably NYC. Weekends in NYC are packed full of sights, smells, and plenty of food! Make your morning at Abraco, with cold brew coffee and dainty pastries. Or brunch out in style, at Jeffrey’s Grocery or 88 Palace. Then stroll across Williamsburg Bridge to sample the city’s best street food at Smorgasburg. For lunch, sample some of the city’s international flavours. From soup dumplings in Chinatown - my go-tos are Tasty Hand-Pulled Noodles and 456 Shanghai Cuisine - or Moroccan delicacies at Cafe Mogador, there is always a new cuisine to try. Or for those looking to pack their weekends full of green goodness, head to ABC Kitchen for sumptuous organic fare. While away an afternoon in Manhattan’s word-famous museums, from The Whitney to The MoMA, or get swept away in a show on Broadway (Hamilton, anyone?). Then sweat up an appetite, feasting your eyes on tantalising city views as you explore Central Park or the Highline in Chelsea. While away an afternoon in Manhattan’s word-famous museums, from The Whitney to The MoMA, or get swept away in a show on Broadway (Hamilton, anyone?). There are too many restaurants to taste in the city, but a few of my favourites include Barbuto, L’Artusi and Lilia for delectable Italian bites, or Momofuku Ssam for bold Asian eats. Gaia Italian Cafe is worth a trip, for homemade pasta to warm you up on a wintery New York day, and if you have an evening to spare, search out Sushi Dojo - a great bang for your buck sushi omakase. My last locale is always Blue Ribbon for a night cap, as I savour the hustle and bustle of this non-stop city. Josh Beckerman is the Foodie Magician: a professional entertainer who mixes magic, mentalism, comedy and food in one stand-out show. He also writes the food blog, nycfoodie.com, keeping the city well fed as he explores the latest dining spots, food innovations, and tempting treats. Well-known amongst NYC’s food-fanatics, he’s often the first at a new restaurant or club – dining & dancing before most get the chance. New York is a city of constantly changing wonder. In 17 years I’ve seen buildings go up, neighbourhoods transform, graffiti become street art and street style be born - but the city has always kept its vibrant spirit. From people to pastries, shopping, culture, and cuisine, NYC has it all, and it’s only ever a hop, skip, or a subway away. My mornings begin on 5th Avenue, with coffee to-go at the Plaza Food Hall. Skip the side entrance though and savour the glamour of the Plaza Hotel. Or head to Ralph’s on the second floor of the Ralph Lauren Store for a pre-shopping pick-me-up. For mornings a little lazier, head to <2strong>Sadelle’s for brunch. From people to pastries, shopping, culture, and cuisine, NYC has it all, and it’s only ever a hop, skip, or a subway away. Strolling along 5th avenue is a sight in itself, but my favourite stop is Henri Bendel. A former storefront of French perfumer Francois Coty, the store is decked out in dainty details, and the perfect place for window shopping. Then head to The Smith for American bistro classics, before soaking up a quieter side to the city, strolling through Central Park or along The Highline. Or pack in some creativity & culture - NYC is packed full of magnificent museums, but The MoMA is a must-see. Savour the sunset from the top floor, for a truly unforgettable evening. The best way to see the city is definitely just exploring quintessential NYC neighbourhoods like the Meatpacking District, Soho, and Nolita. For the best snap-spots, I follow @fomofeed , which fills you in on the best street art and pop-ups to see. Or head out to Brooklyn - Williamsburg & Bushwick have one-of-a-kind vintage and second-hand stores. Pick up a statement piece or two, so you’ll always be a stylish step in front of the crowd. The best way to see the city is definitely just exploring quintessential NYC neighbourhoods like the Meatpacking District, Soho, and Nolita. My dinner favourites are Il Buco, Kiki’s and Tipsy Parson. Cool and cosy, they’re great spots for date night. If I’m headed to a Broadway show, then Carmine’s is the best pre-theatre nibble around. There’s nothing standard about a night out in NYC, so I always check Time Out New York for the latest goings on. Depending on the night, different bars come alive, so it’s good to check out what’s on before heading out! The Moxy, Vandal, and Hotel Chantelle are all great for drinks & dancing, no matter your tastes. And my favourite late-night haunt has to be House of Yes in Bushwick. Full of fun, be ready to go with an open mind! 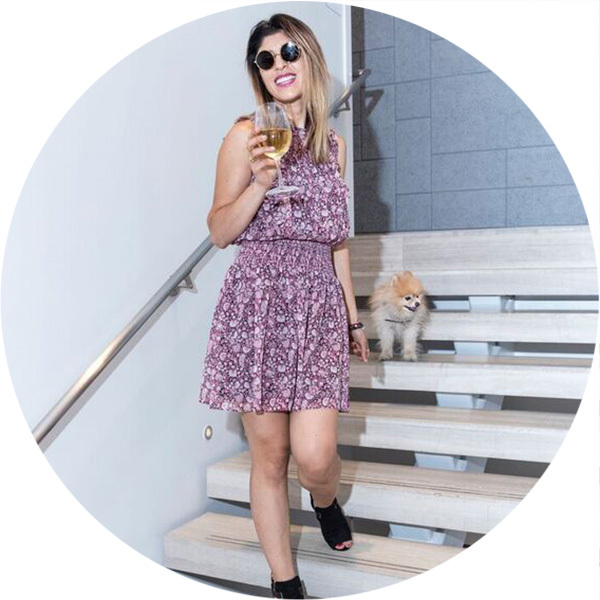 As a beauty expert, blogger, and consultant, Lara Eurdolian knows everyone who’s anyone in NYC. Always one stylish step ahead of the scene, she’s frequently spotted moving and grooving to the city’s best sounds, whether at a fashion show, or record release party. New York has been my home for five years, and there is truly no place quite like it - and if you can make it here, you can make it anywhere. From food to fitness, there are endless activities to keep you hooked, and make every moment an exhausting, fast-paced, character-building adventure. Although you’ll never find a bad slice of pizza in the city, I believe NYC is best known for its fitness & wellness scene. Every day, there’s a new class to try - from to trampolining, to boxing, to underwater cycling, you’ll always find something to get you moving. As the fitness scene here grows and thrives, there will always be more weird and wonderful classes popping up to fall in love with. Although you’ll never find a bad slice of pizza in the city, I believe NYC is best known for its fitness & wellness scene. My weekend begins with an early morning workout, then a leisurely stroll through the city’s green oases. I then fuel up with brunch at Telegraphe Cafe, or humble Italian cuisine at San Marzano. Who needs $200 grilled cheeses when you have a perfectly cooked panini? For an adventurous afternoon, definitely try jet skiing on the Hudson River, picture-perfect views of the Statue of Liberty included! ...definitely try jet skiing on the Hudson River, picture-perfect views of the Statue of Liberty included! For understated dining, head to Vatan, or Lombardi’s for the best pizza in NYC - a bold claim! Then let the evening linger on at The Box or Gonzales y Gonzales, two local hotspots. If I’m looking to go under-the-radar, either Fat Cat or El Cantinero are great places to let your hair loose and really soak up the flavour of the city. 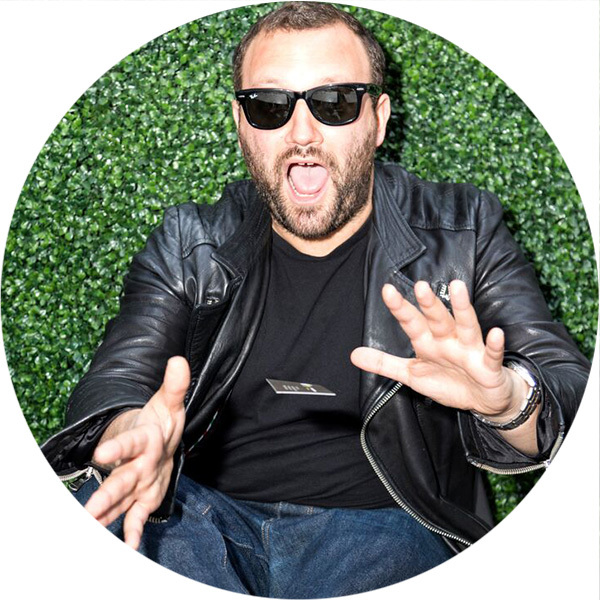 Mantas is the head SoulCycle instructor at the West 27 th St Studio. Just steps from Innside New York NoMad, his classes are full of body-moving beats, and guaranteed feel-good fitness. 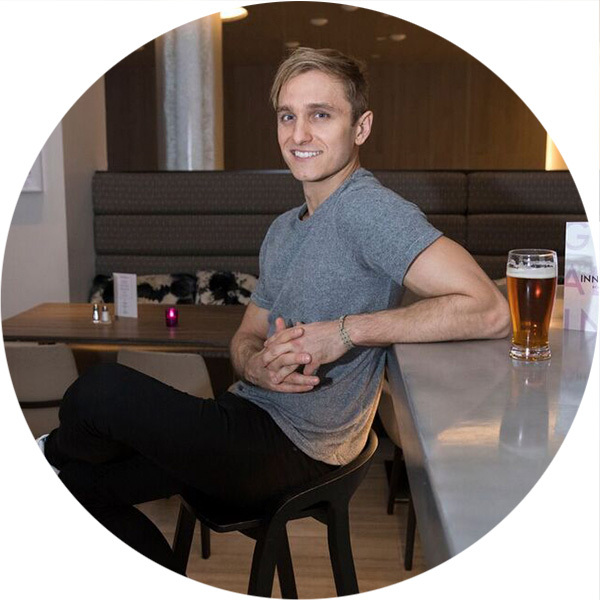 With years of yoga experience, Mantas is also the founder of SurfYogaBeer, a fitness adventure company hosting classes and events in NYC. I’m a real-deal New Yorker, born and raised in the city! Although NYC has been through a cascade of changes, the people who live, work, and play here have always remained absolutely inspiring. And although it’s packed full of restaurants, bars, and nightlife, what makes the city special is its scenery - people always forget it’s a coastal city! Savouring a sunset across the Hudson River is breath-stealing, and best enjoyed from one of the ferries running yearlong across the scenic waters of the city. I start my weekends sweaty, at fitness class - from Rumble Boxing and Woom Yoga, to Y7 Yoga, or MNDFL meditation classes. They’re all local favourites, just steps from Brooklyn Bridge Park, and the endlessly instagrammable neighbourhood of Dumbo (where I live!). Then I head to Jack’s Wife Freda for the city’s best brunch, before wandering downtown for city sight-savouring. ...and although it’s packed full of restaurants, bars, and nightlife, what makes the city special is its scenery - people always forget it’s a coastal city! ...it’s easy to spend weekends wandering and continually be inspired. After an afternoon spend uncovering the cultural wonders of the city, dine fine at Emilio Balatos for classic Italian flavours, then step in to old New York and have a drink at Bemelman’s Bar at the Carlisle, or The King Cole Bar at the St Regis. Both bring a touch of glamour to an evening, so be sure to have your gladrags on! Melissa is a cultural connoisseur, lifestyle innovator, and social director. 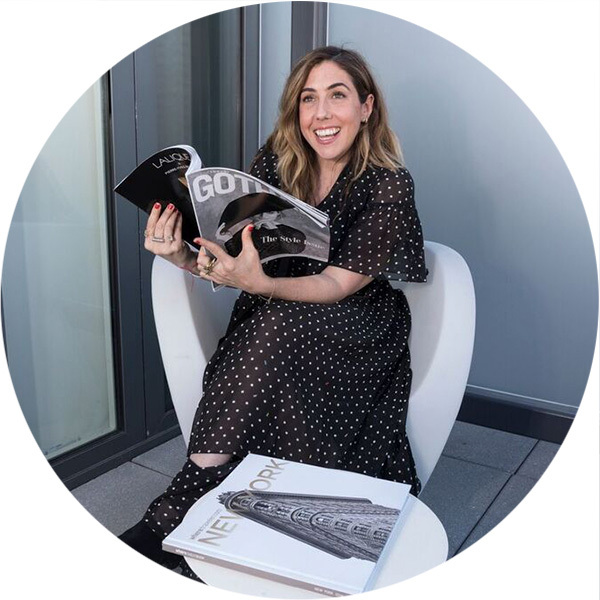 As a consultant, she connects luxury hospitality, fashion, and lifestyle brands with taste-makers, to create perfect partnerships. 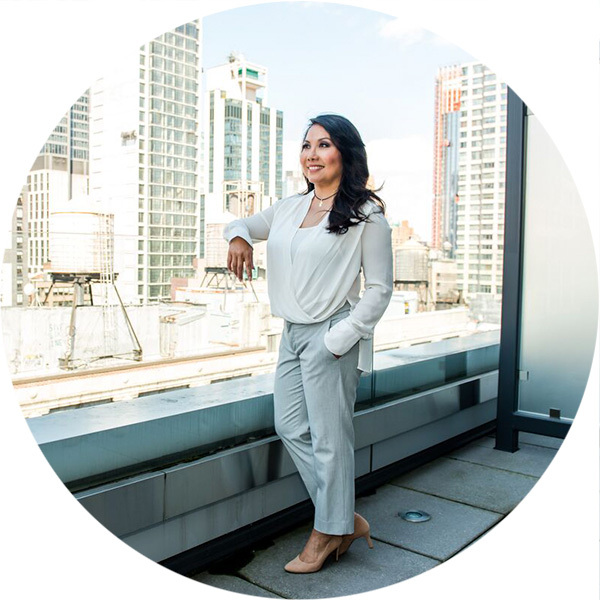 Previously the ‘Director of Vibe’ for Viceroy hotels, she’s in the know with the cream of the crop of NYC chefs & celebrities, often appearing with them to openings and restaurant previews. I have travelled all over the world, from Paris to Tokyo, but no city feels quite like NYC. Instead of being grounded in the past, it leaps towards the future. It is an ever-changing delight to stimulate your senses, and every visit brings fresh discoveries. It’s simultaneously energetic, innovative, and social. And it is both awe-inspiring and intimate, as you step between skyscrapers, uncovering local finds in every neighbourhood. Most famous for its endless entertainment, you can find the best hotels restaurants, and clubs in the world here, all perched on the cutting-edge of cool. And even though I don’t live in the city, I always keep updated on the latest hotspots to visit next time I’m in town. Any visit to New York City starts with brunch a Marta, just steps from Innside New York NoMad. Then I pause and ponder at the 9/11 Memorial at the World Trade Centre, or stroll through Central Park, before exploring every corner of the Metropolitan Museum of Art. Then spend the day in the city’s most famous shopping districts, perhaps picking up a treasure or two along the way. I love Madison Avenue, Bloomingdales, and 5 th Avenue, and always stop at Fred’s in Barney’s for lunch – the perfect shopping fuel! Taryn is an enormously successful shoe designer, who New York Moves magazine has recognized as one of the most powerful women in the city. She can often be found in some of the city’s most exclusive restaurants or spas and is a regular at New York’s many swanky live music venues.